The Classic White Slant Rubis Tweezer features a slanted tip for precise plucking and brow shaping. 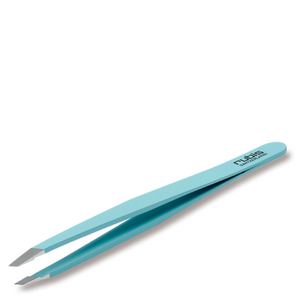 Made of coated surgical steel, the high-quality tweezers are acid-proof, anti-magnetic and rustproof. 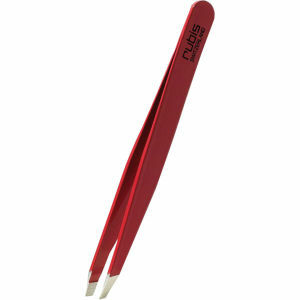 Featuring tips that close perfectly, precise edges and an arm of tension that yields a lightly-resilient resistance, the reliable Rubis tweezers are handmade in Switzerland by skilled employees, using a 45-step process. - L.M.